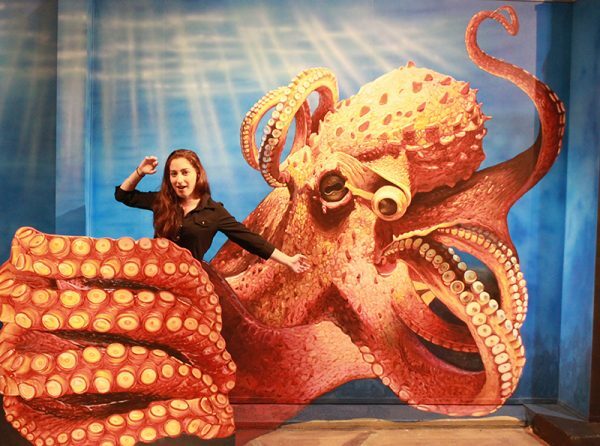 Great fun with over 50 trick art paintings in Five Themes. 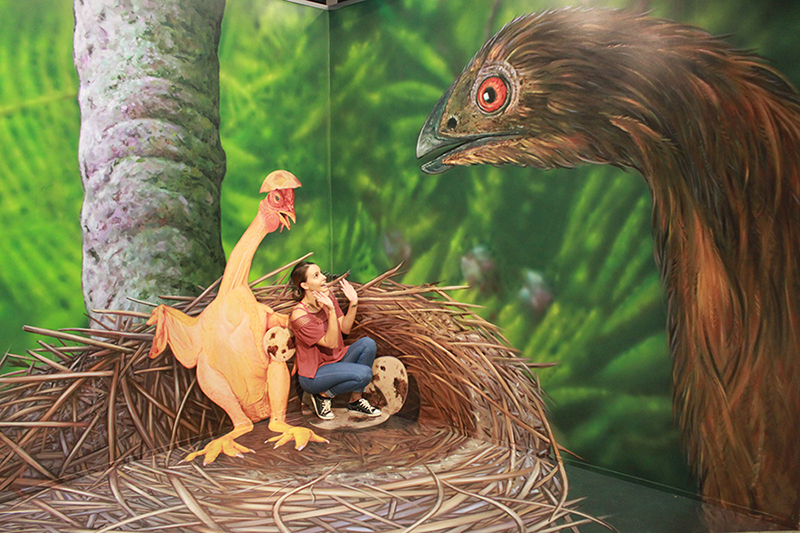 The first theme of 3D Trick Art Gallery is “Classic Art”. In this theme, several famous classic art paintings like ‘Mona Lisa’, ‘Girl with a Pearl Earring’ and many more will both inspire and trick your eyes. This section is the warm up before the next, even more tricky section. This theme is inspired by New Zealand life style, history and nature. 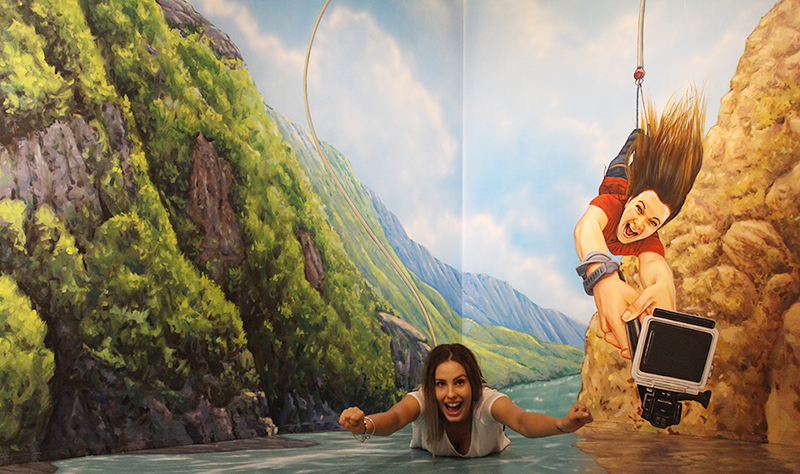 Rotorua is the home of ‘Maori culture’ where you can experience all kinds s of this amazing culture. 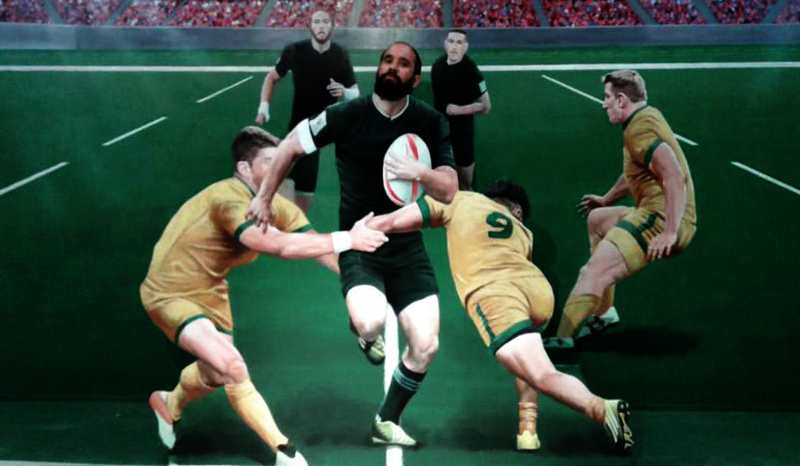 Discover New Zealand’s rich Maori culture, or play with the All Blacks rugby team all through our 3D art. Ames room in this theme will also get you pleasure of optical illusion. 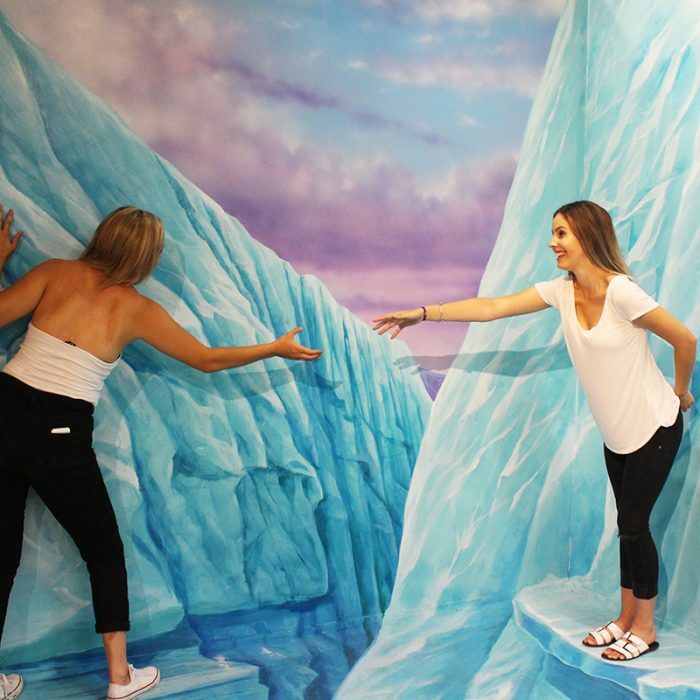 An Ames room is a distorted room that is used to create an optical illusion. In the theme of Challenge, experience the bold spirit of New Zealand people against nature. Challenge yourself with rock climbing, exploring glaciers and flying to space. Put aside your preconception and challenge your creativity. The theme of ‘Fantasy’ is mythical place that has never been explored in New Zealand. Create your own myth or fantasy story in this mythical space with the glow of fireflies. Be a part of New Zealand Grand Nature in this section. 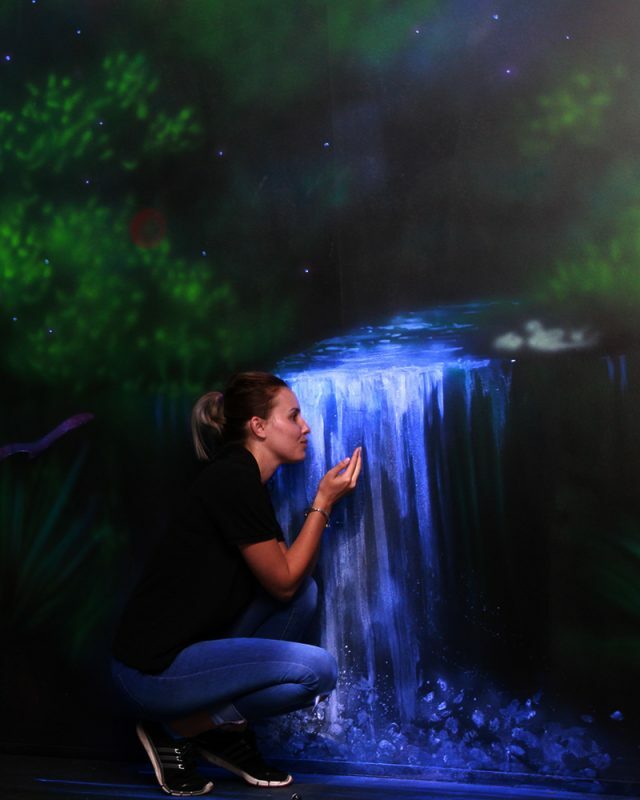 In this theme, you will see a magnificent waterfall, geysers, giant marine animals and mythical creatures. 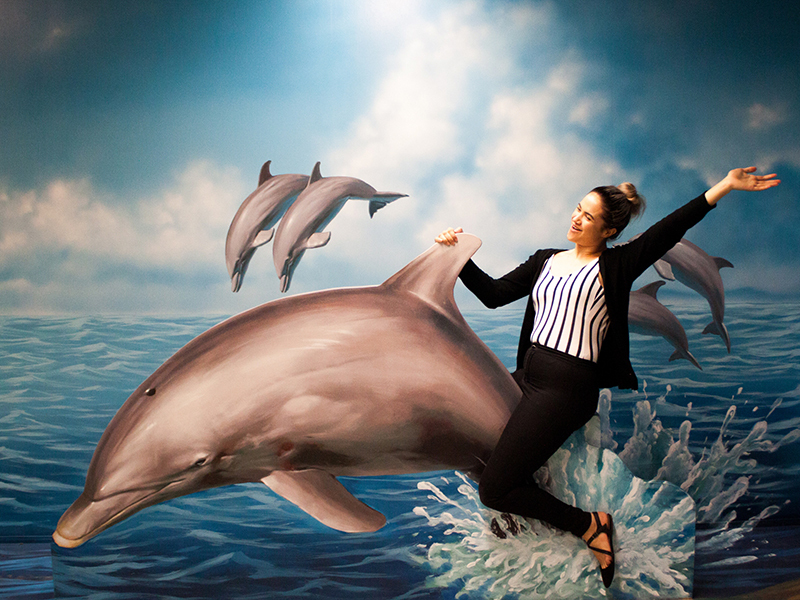 Enjoy the excitement of testing your creativity and take delightful memories with you from the 3D Trick Art Gallery. 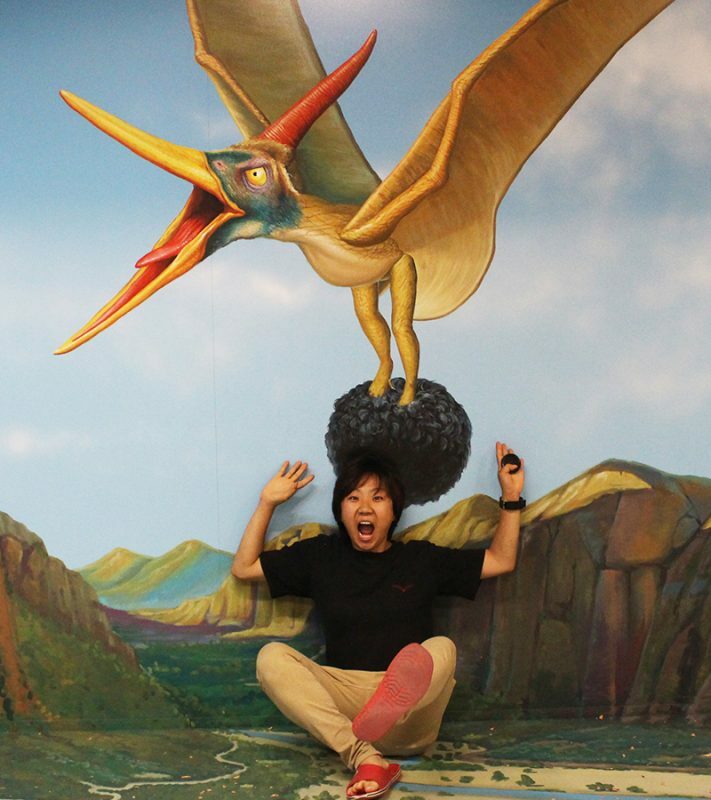 Although simple - there are many ways to enjoy 3D Trick Art using creativity. Don’t be shy! 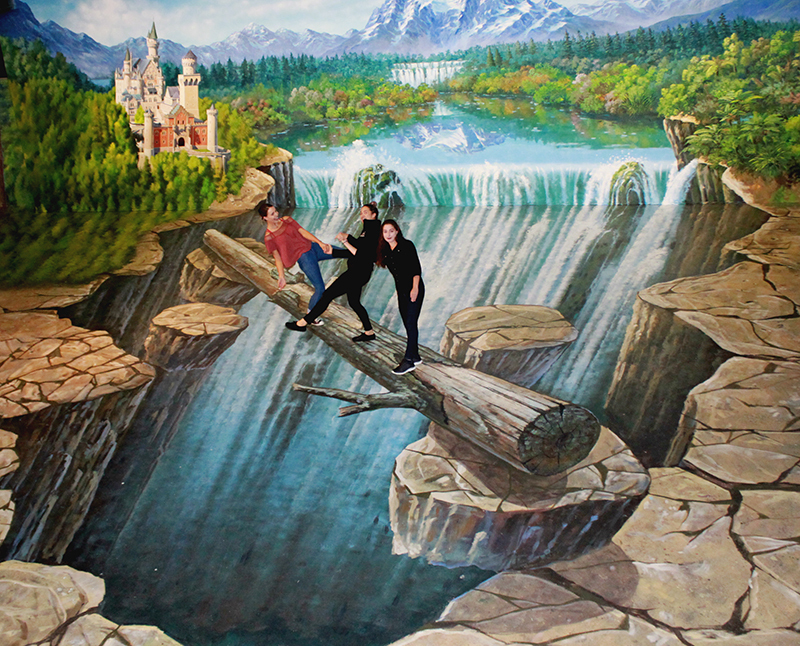 Strike your best pose close to the painting and have friends or family to take a picture at the recommended distance, which is marked on the floor. 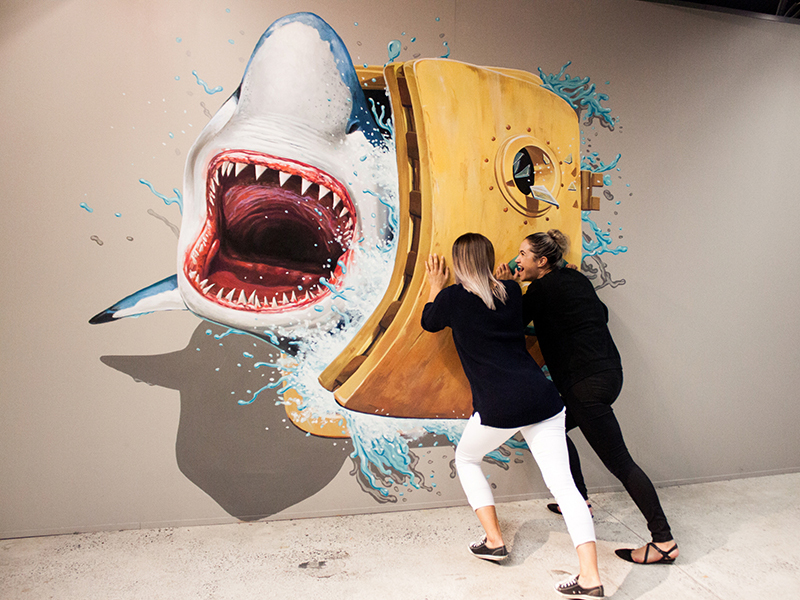 The 2 dimensional hand painting transforms into a mind-blowing 3 dimensional scene. 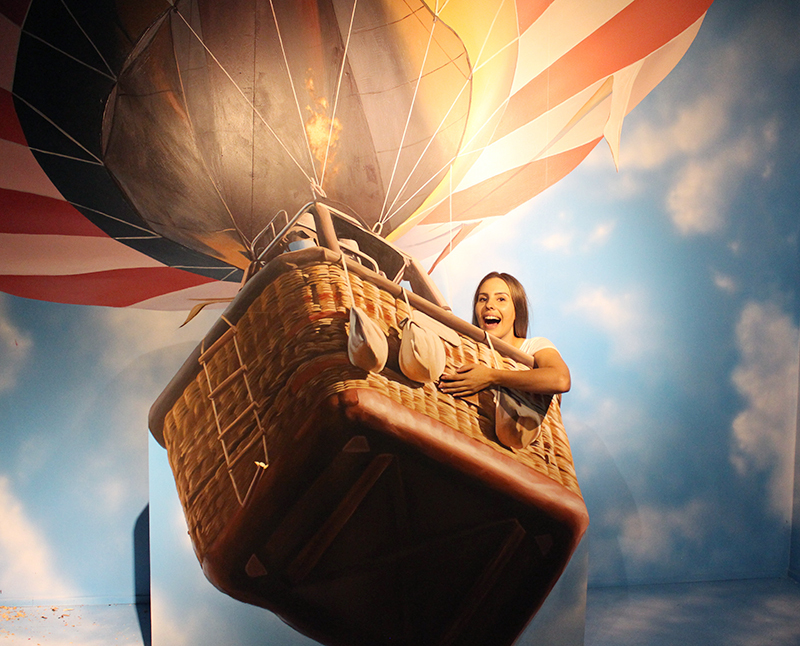 Try different poses and have fun to achieve the best shot. Post your best shots on Facebook and instagram hashtag #3dtrickrotorua and see how many likes you can get.